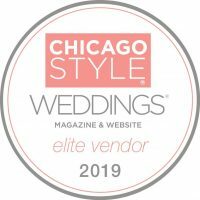 Has your work been recently showcased in ChicagoStyle Weddings magazine or on chicagostyleweddings.com? 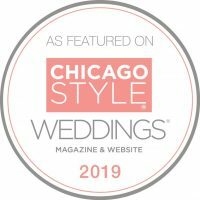 We have the great privilege of showcasing so many talented wedding professionals whose outstanding work serves as a daily reminder of what makes getting married in Chicago so special and unique. If your work has been featured in our magazine or on our website, we want the world to know how much we adore you! 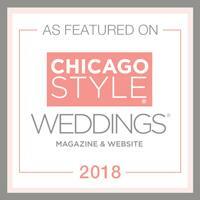 Please feel free to download our web badges, available to display on your websites, social media pages, and email signatures so that you can show off your ChicagoStyle pride on the digital platform of your choice. Thank you so much for inspiring us and for your continued support! Want to submit content for editorial and blog consideration? Click here. 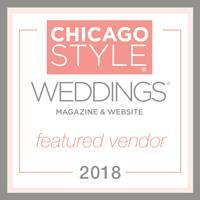 Interested in becoming a ChicagoStyle Weddings featured vendor? Click here.